NGames, a leading online games publisher, has today released details of the magical new gems powering player equipment in MU Classic – a rebirth of a classic MMO coming soon to the Game321.com portal. 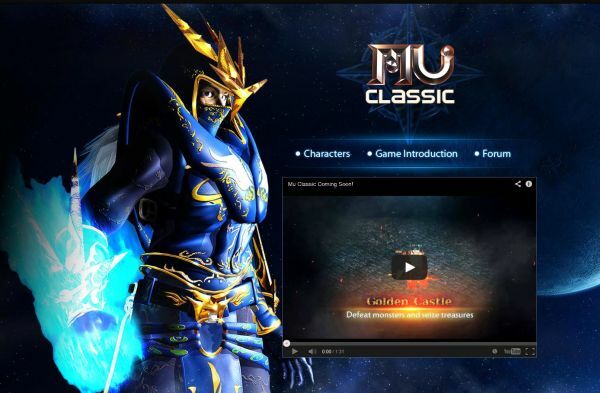 MU Classic combines next-generation browser-based technology with the classic old school gameplay of MU Online. Sporting beautiful 3D graphics, stunning skill effects and many maps to explore, MU Classic lets players re-experience the epic journey again – no browser plugins required! MU Classic warriors live and die by their trusty equipment, so it’s important to develop a personal arsenal that complements a character’s attributes. Swords, spears, axes, maces, bows, crossbows, staffs and wands can all be enhanced and levelled using gems, providing much needed boosts to power and magical stats. Armour can also be enhanced for extra protection against MU Classic’s massive monsters and epic bosses. Equipment upgrades require gems, which players will find across the game’s fun dungeons and quest challenges. Gems come in many flavours and each offers a different upgrade effect, from boosting core attributes to unlocking new special abilities. Considering how long Onigiri was in beta, the fact that some key features were still missing at the time of launch was a bit concerning.